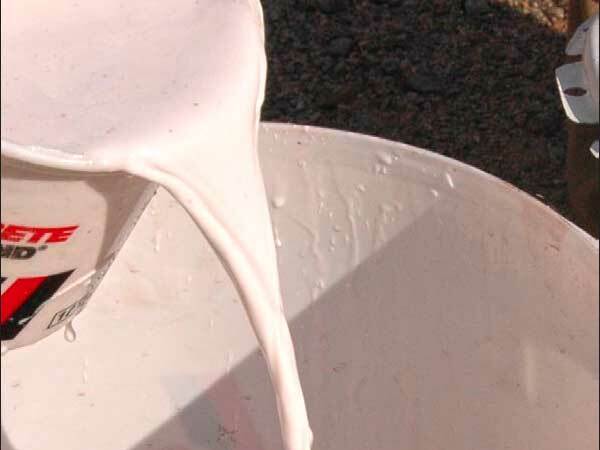 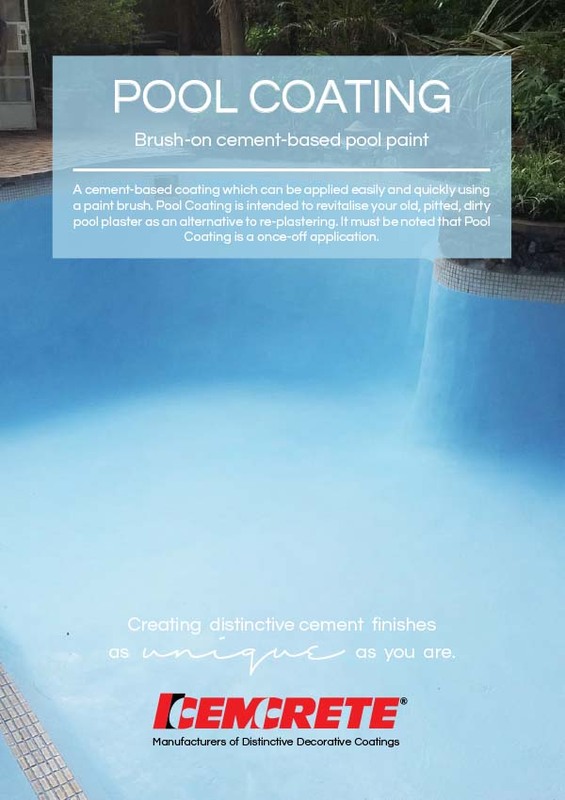 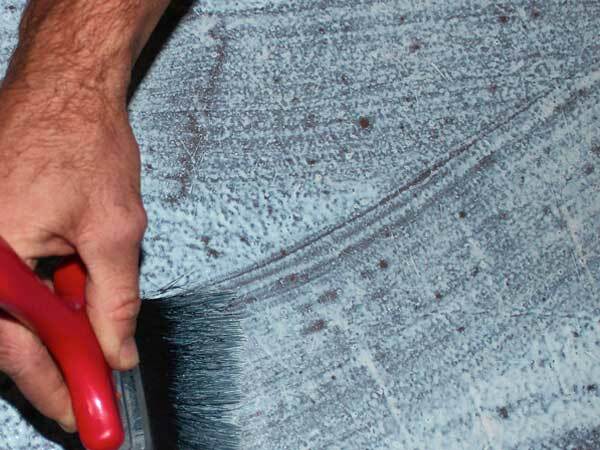 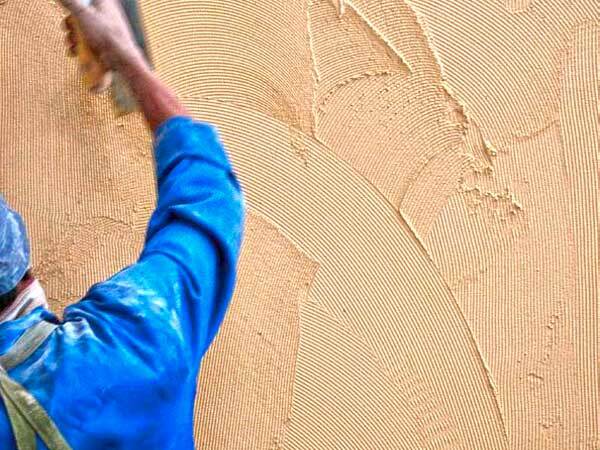 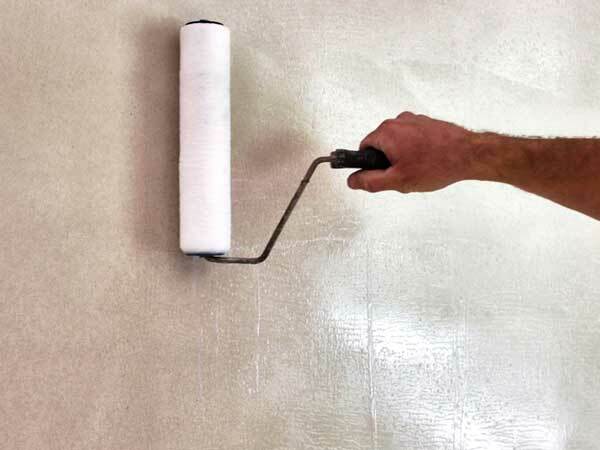 Brush-on cement-based pool paint A cement-based coating which can be applied easily and quickly using a paint brush. 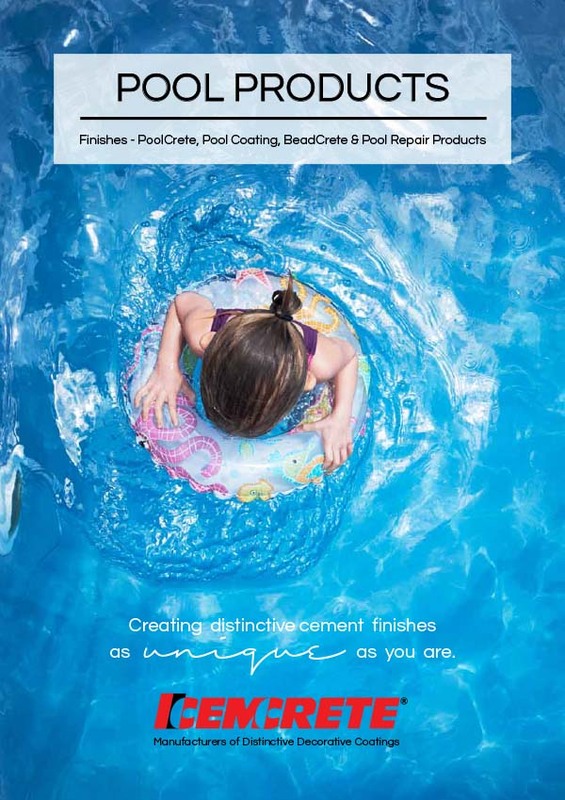 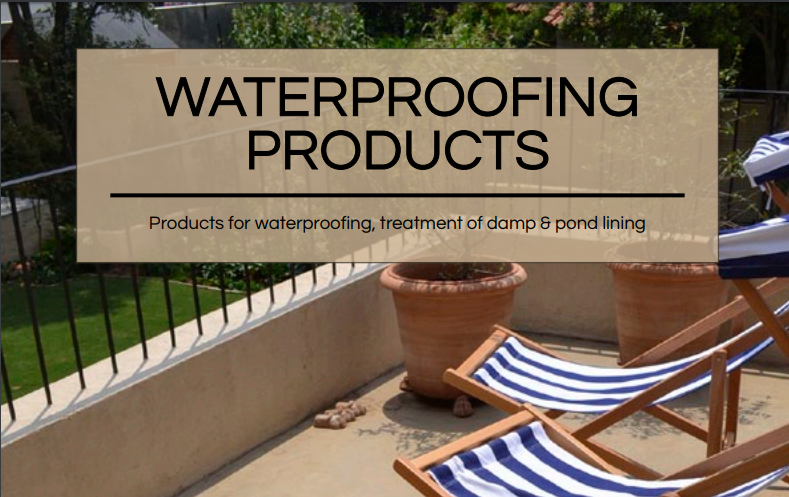 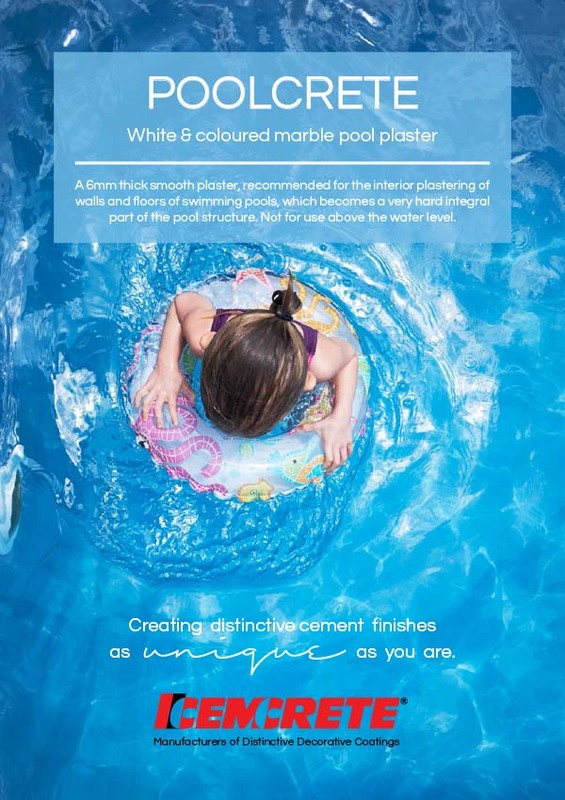 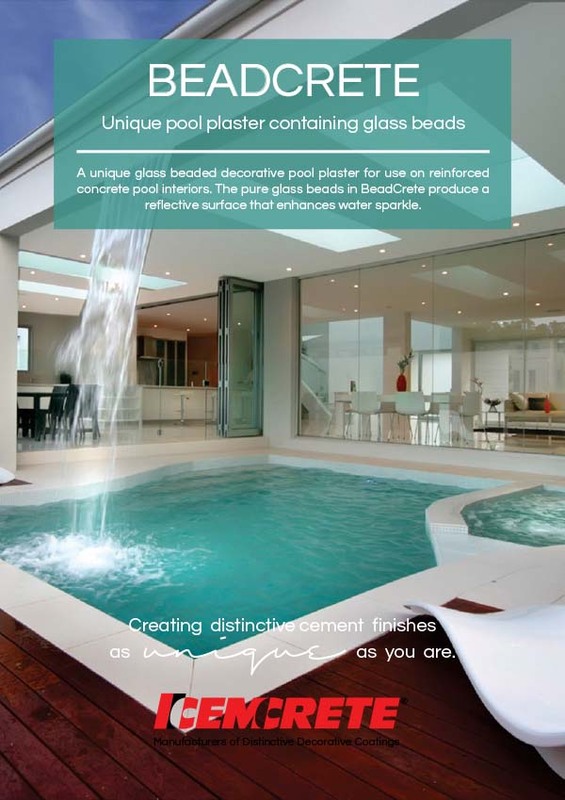 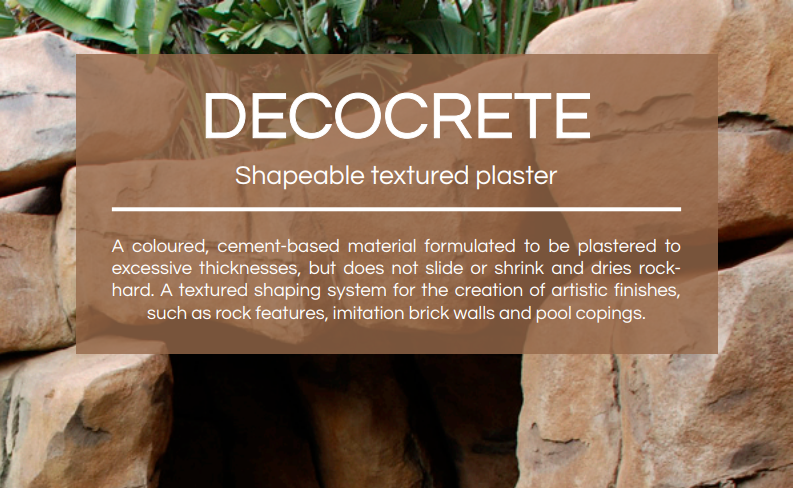 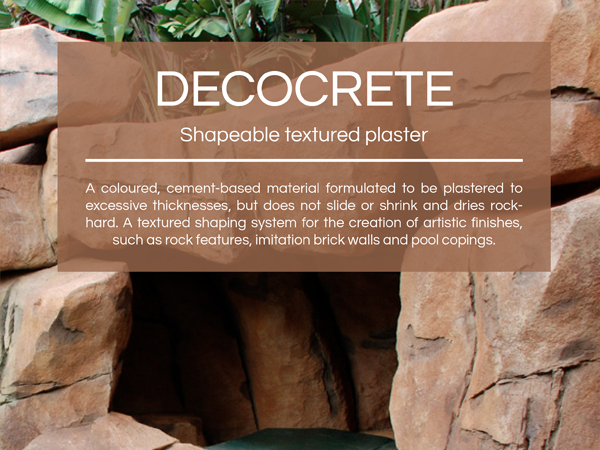 Pool Coating is intended to revitalise your old, pitted, dirty pool plaster as an alternative to re-plastering. 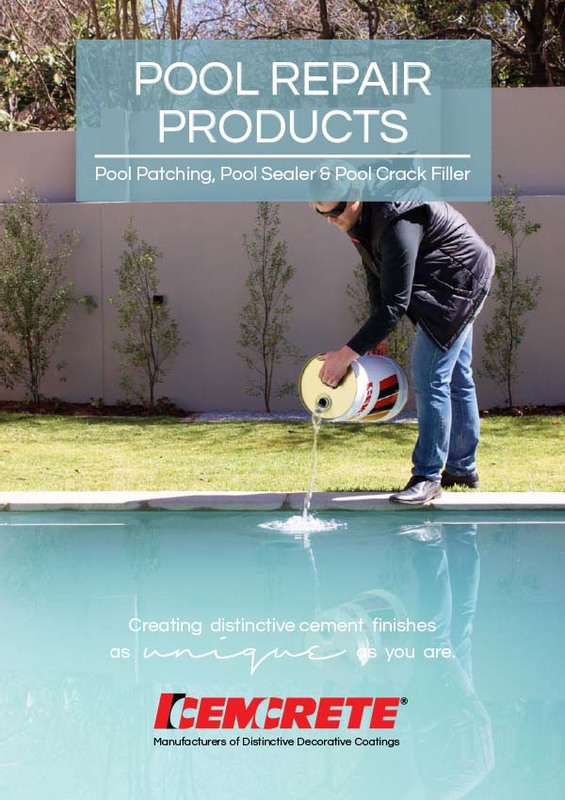 It must be noted that Pool Coating is a once-off application. 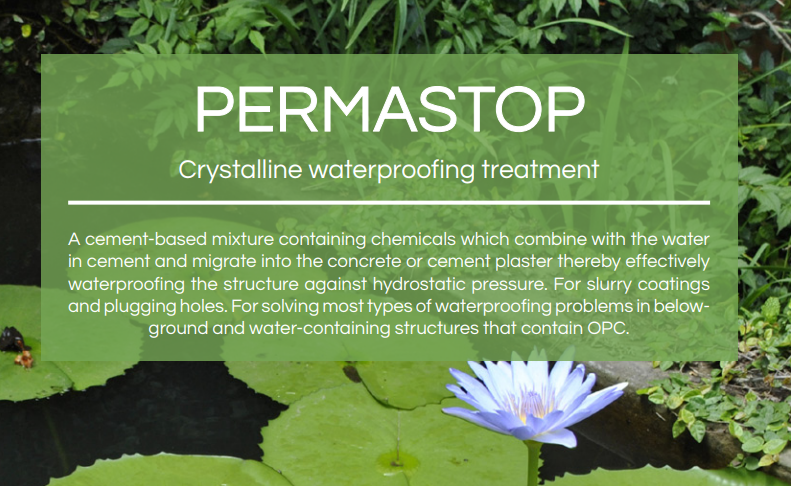 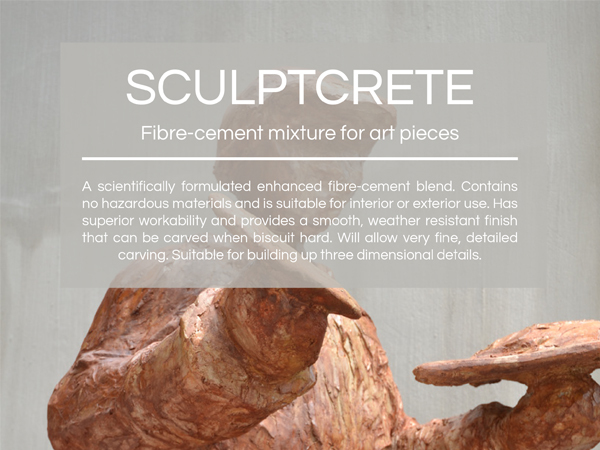 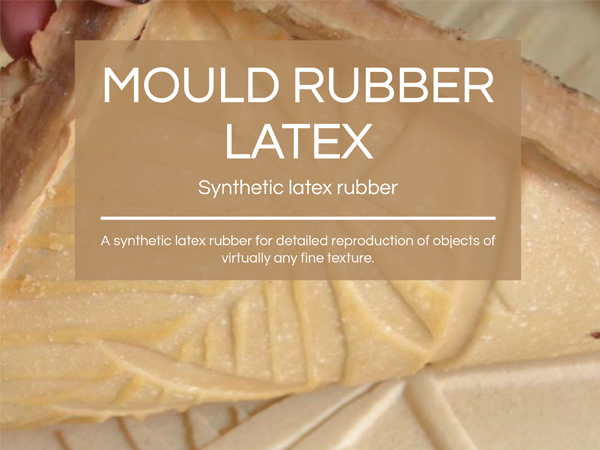 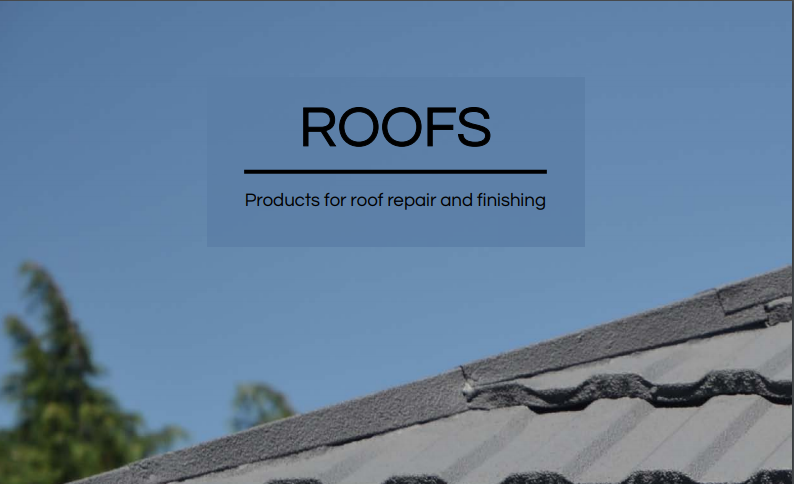 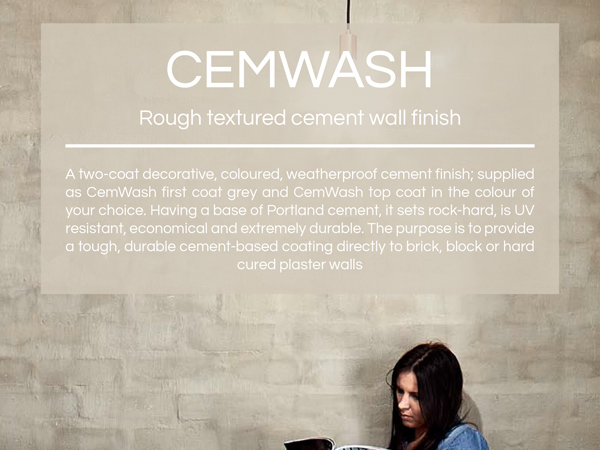 To be used on wood floated (rough) and porous surfaces, ensuring a good bond onto the substrate. 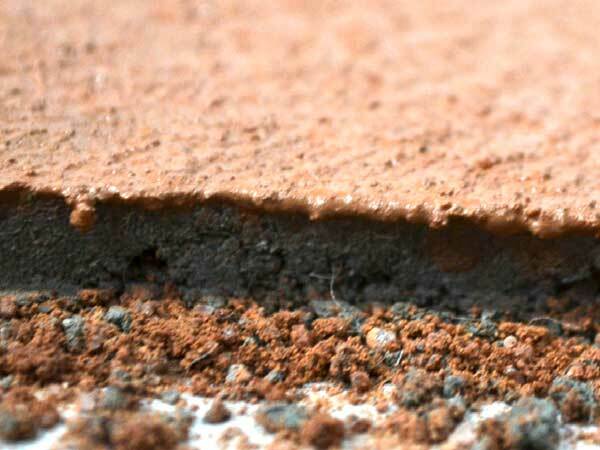 Dense, impervious surfaces should be grinded to expose the surface pores and to create a relatively flat and level surface. 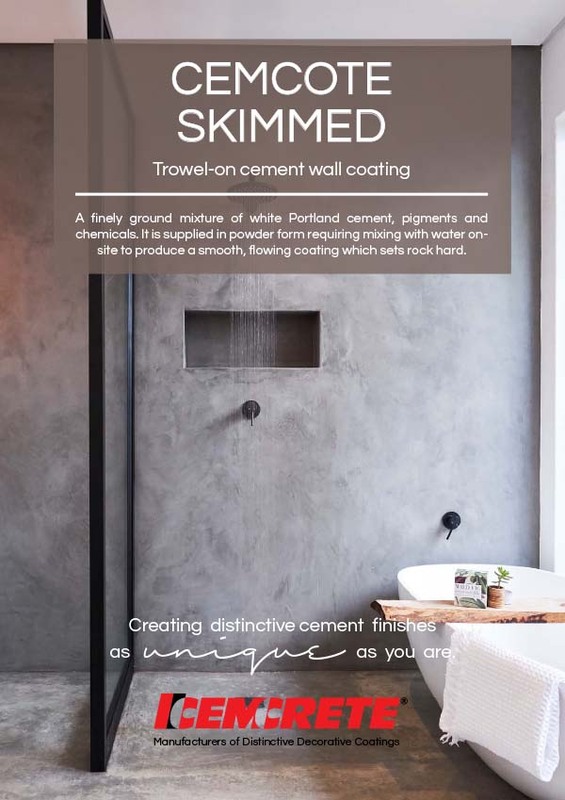 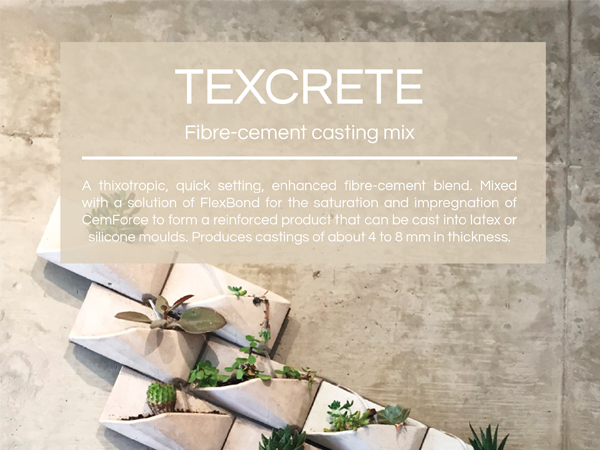 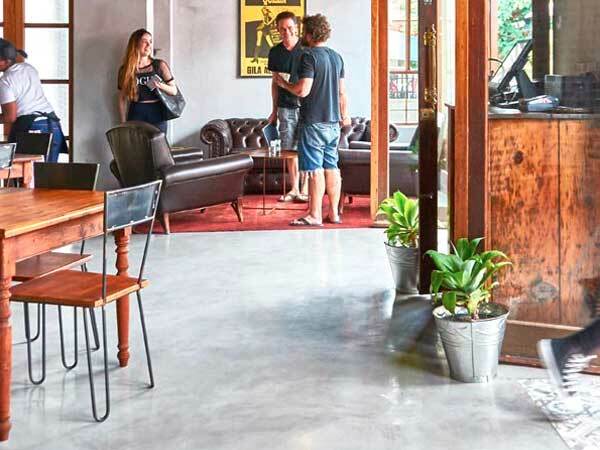 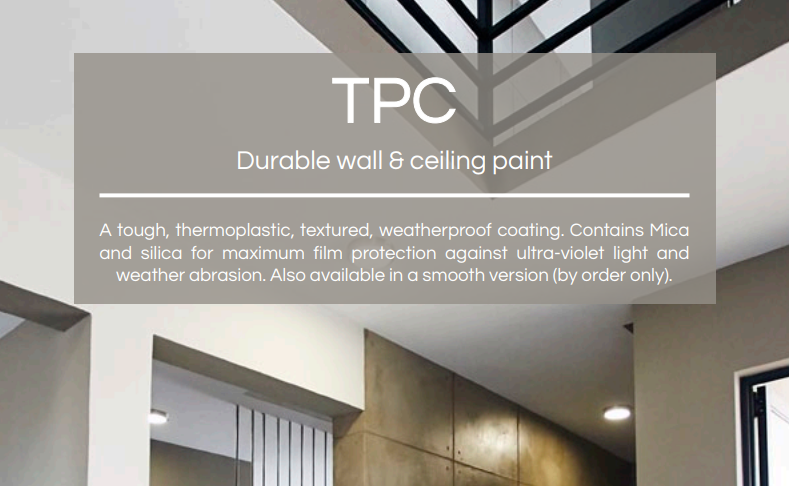 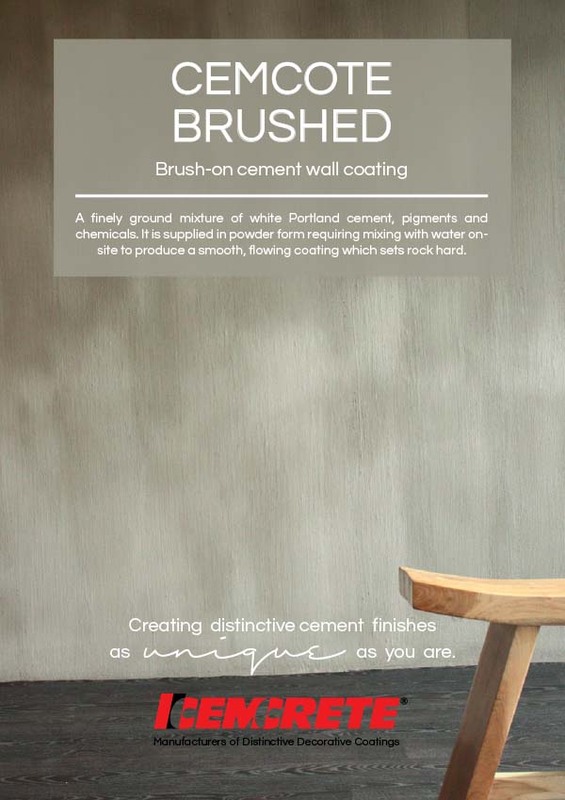 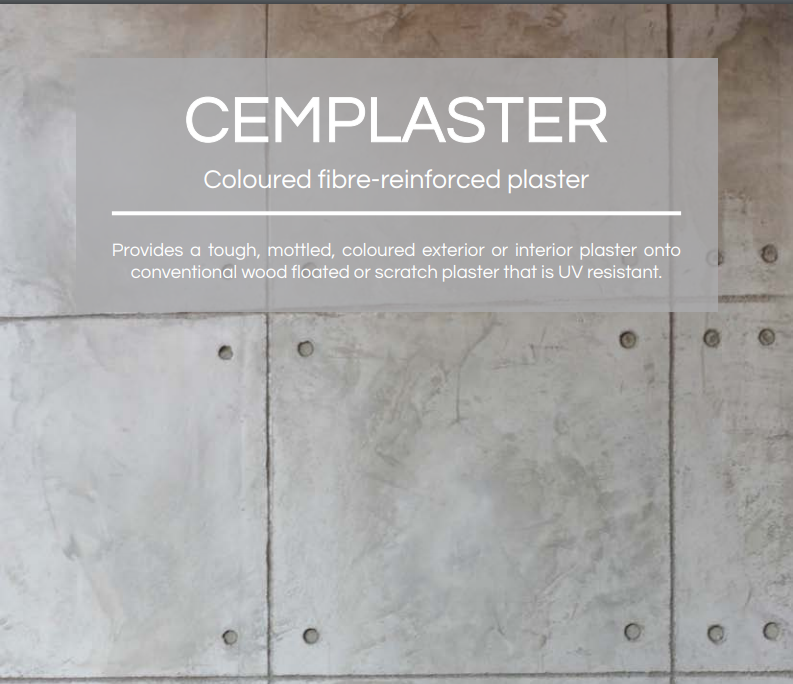 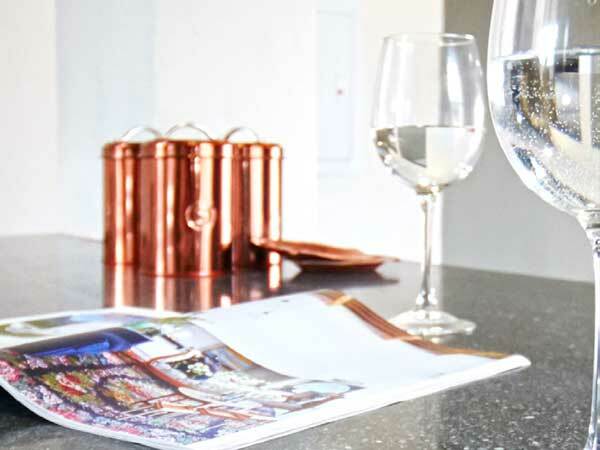 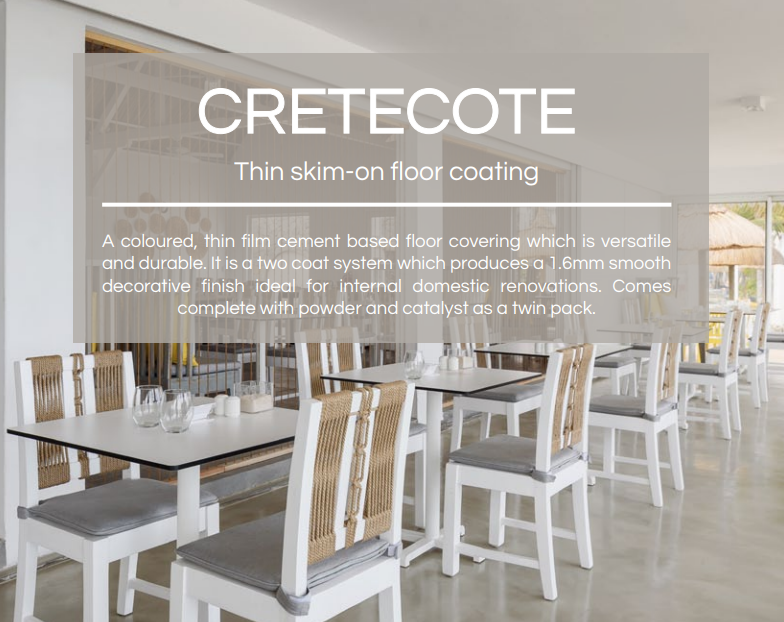 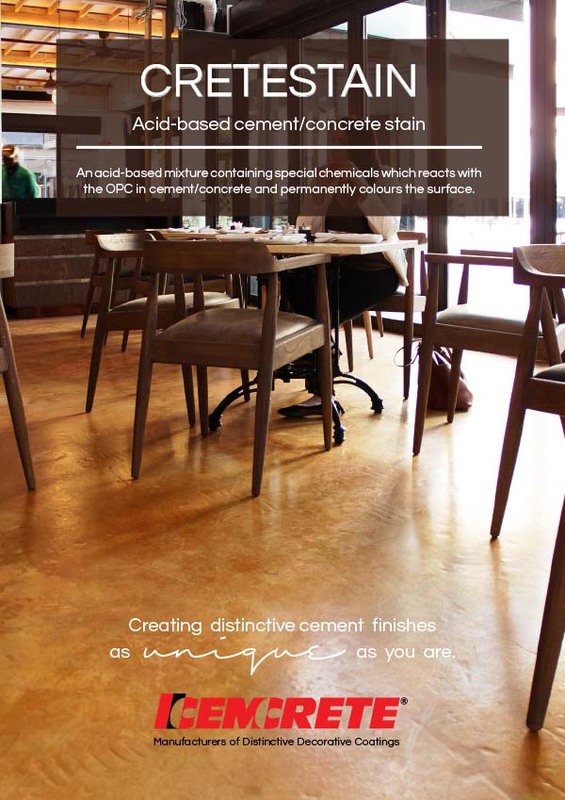 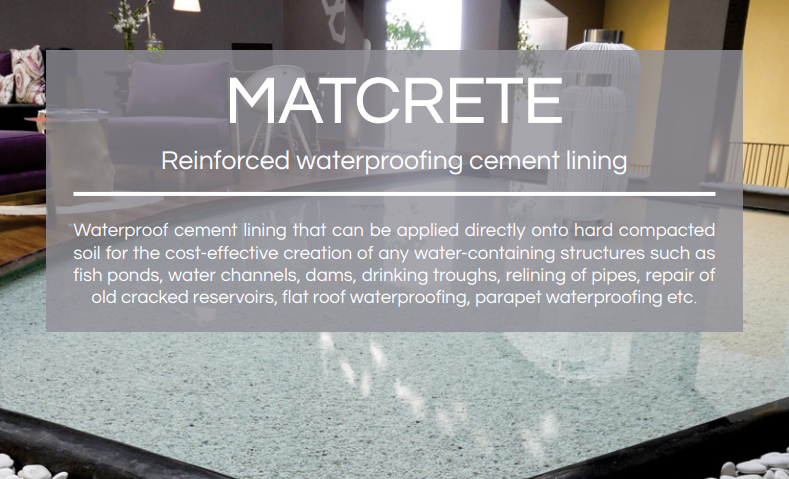 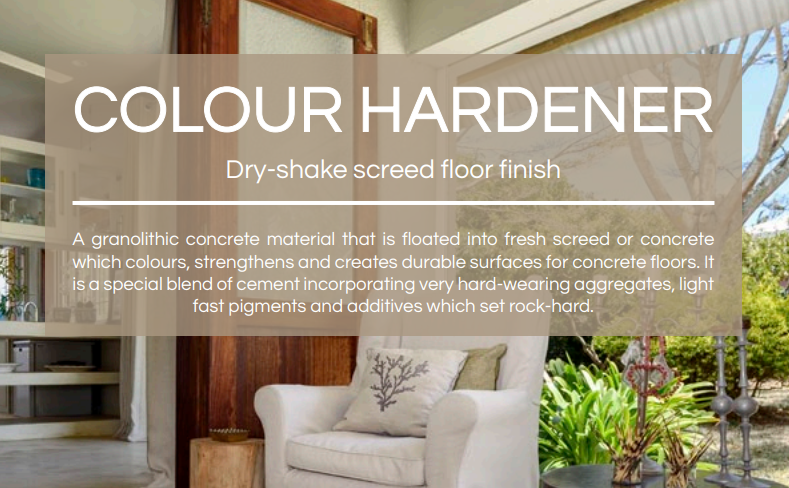 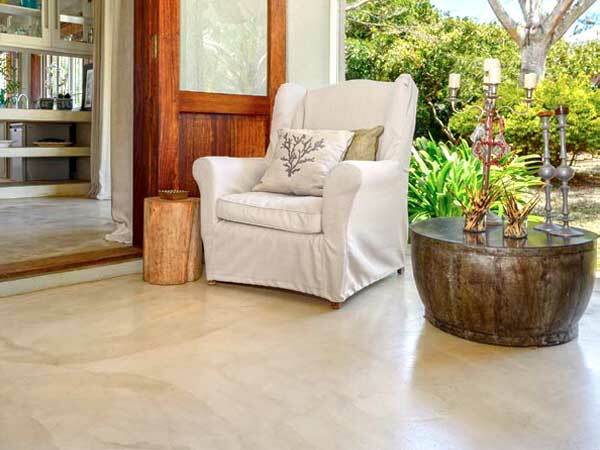 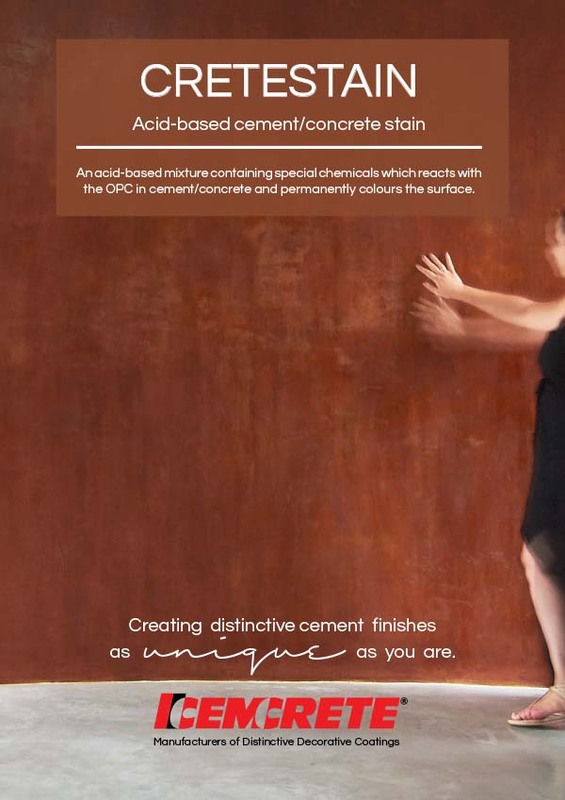 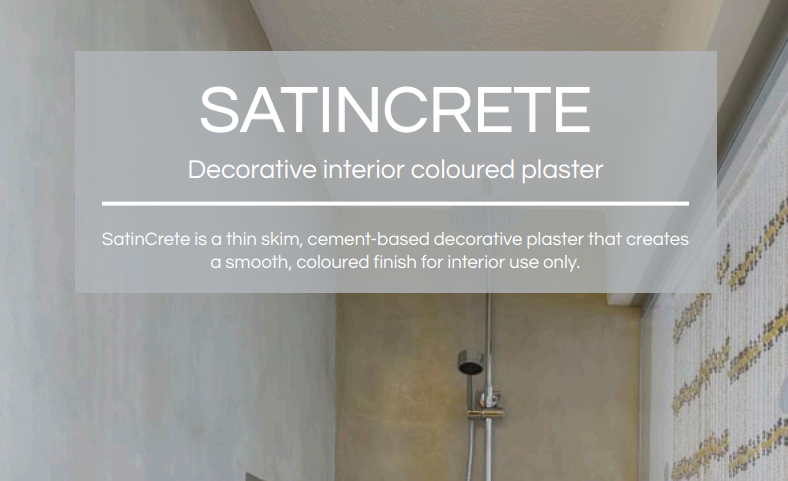 Protecting cement finishes with a good quality Cemcrete sealer is crucial and not only makes the surface easier to clean, it offers other benefits as well, such as enriching the colour intensity of the overlay, blocking the penetration of stains, and improving water repellency and abrasion resistance.